Several dozen Area 26 first-year teachers will be attending professional development in curriculum mapping Tuesday, March 8 through Thursday, March 10 at the Sawmill Creek Resort in Sandusky, Ohio. 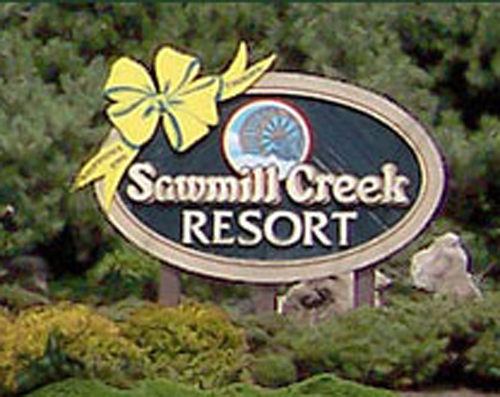 Sawmill Creek Resort in Ohio is where Chicago's Area 26 teachers will learn Rubicon Curriculum Mapping from March 8 through March 10.The trip begins Tuesday afternoon with a six-hour bus trip (two buses have been chartered) in which “adult beverages are allowed,” according to Area officials who made the BYOB announcement in phone calls to participants last week. “I thought that was really weird,” said a teacher who is going on the trip and asked for her name not to be used. New teachers from Area 26 high schools were told in an email from the Area that the event is mandatory. Participants were told to read extensively from prescribed material prior to the event. 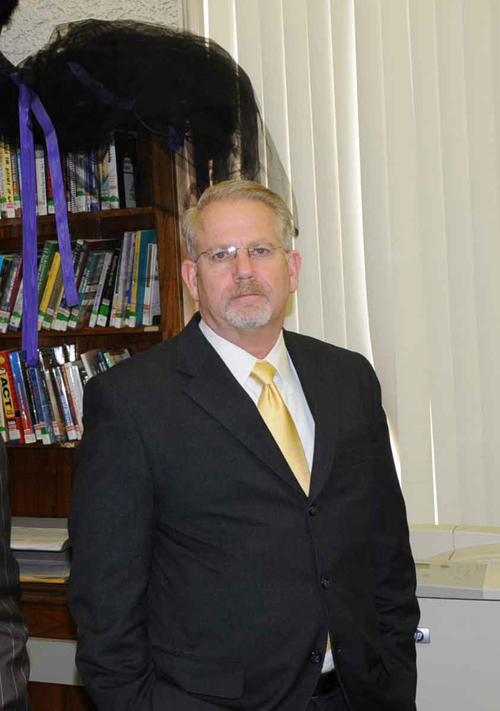 Col. Rick Mills, the Area 26 Chief Area Officer, did not return Substance’s phone call, nor did Abbie Finger, the Area 26 Director of Curriculum and Instruction. CPS spokesperson Monique Bond provided the following answers to Substance's questions by email on March 16. Q: How many teachers will be going on the trip? A: "Still need to get the correct number of teachers who attended." Despite CPS claims that it is facing a "deficit" of more than $700 million, Area 26 Chief Area Officer Rick Mills (above) has ordered new teachers from every high school in his district to attend the Ohio Curriculum Mapping/Rubicon training at the Sawmill Resort. Substance photo by George N. Schmidt.Q: Why the Sawmill Creek Resort in Sandusky, Ohio? A: "The 2 day professional development conference (Mapping and integrating the Common Core Standards Curriculum Conference) hotel was selected by the organizers, not Area 26." Q: Why the encouragement to drink alcohol? A: "Teachers are adults and would not be violating any school policy or other laws, unless a teacher was driving. Alcoholic beverages are allowed on airplanes. Traveling by bus is no different. That is not the case here. The decision to allow alcoholic beverages on the bus would have to be made by the transportation vendor." Q: What is the cost per teacher and the cost for substitute teacher replacements? A: "The estimated conference cost totaled $40,000." Q: Comments on the likelihood of budget cuts eliminating positions or principals clicking off the PD participants in the coming year. A: "The federal funds are specifically used for this type of professional development and training of high quality teachers. As far as considering budget cuts while making this decision, these are federal dollars allocated for new teacher induction training and an investment that supports teachers and their careers." A: "The conference expenses are justifiable and are less than conducting the conference locally. The District would have had to pay the conference leaders (4) airfare and fee in addition to a venue and refreshments. We believe this was the most reasonable and cost effective method to conduct the professional development training and conference." "Will need to get agenda and speakers." FEE- payable to CURRICULUM DESIGNERS, Inc.
Register 6 people & 7th is free. 12:30 to 3 PM- Workshop and work sessions. To train teachers to bow down to the Common Core Standards. Title of Training: "Mapping to the Core: Integrating the Common Core Standards into Your School Curriculum K-12." Any videos from the Booze Bus? I did not attend the meeting in Sandusky, but I did get a chance to talk to some of the people from my northwest side high school. This is the first time I've ever tried to post anonymously on this site. I'm doing so simply because I don't want to get any of the half dozen people who attended from my school in trouble. First, teachers were told "You won't be fired for not attending the conference, but you may be fired for something else." They also received e-mails stating that attendance was mandatory. A few teachers had legitimate excuses, but a half-dozen did attend. One person received the telephone call from Stacey (sp?) and was supposed to pass on the message from others. It went something like this: After talking it over with Rick Mills, we decided that we're all adults, and if you want to bring along some adult beverages on the bus ride, that's okay. My teachers reported to me that there was no drinking on the bus. Some thought it was simply inappropriate and others were afraid they were being set-up. No one made a move to leave. Then Stacey passed out papers for them to sign stating that they were there voluntarily and would not receive any additional compensation (other than their regular salaries). I understand that everyone signed the papers, although some were uneasy about it. A very wise friend of mine reminded me of Julius Caesar crossing the Rubicon--the equivalent of treason, at the time--and the words are not lost on me as we map out curriculum using Rubicon. Someone should tell CPS we're not as stupid as they think we are. When are we going to start our revolution? Please read revised piece. We have some answers to some of our questions on the mid-week trip to Ohio for Area 26 first-year teachers.